Recently, a couple of car thieves caught in a CCTV footage displayed that the keyless entry system of Mercedes-Benz could be exploited. The crooks were able to drive away with the car in just a minute. The more alarming part of this event though was the fact that devices similar to the ones they used can be easily acquired online. So, how can you prevent this from happening? 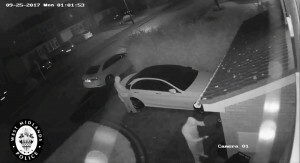 In a video shared by West Midlands Police in UK, a car can be seen approaching a parked Mercedes. Then, two hooded figures disembarked from it. One positioned himself beside the parked car and the other was near the house of the victim. Using identical devices, they were able to unlock the Mercedes and start its engine. One drove off with the Mercedes and the other left using their getaway vehicle. According to authorities, the crooks were using a relay system. The person near the house picked up the signal from the electronic key of the car. The data from the key was then transmitted to the other man who used it to unlock the car’s door. The second phase involved starting the engine of the auto using the same method. Reports said that similar hacking devices can be easily bought online at Amazon and eBay. ADAC, a German motorists association, conducted a series of tests using the hacking devices against the latest keyless entry systems of popular car brands. They found out that 110 cars from 27 different automakers were at risk. Make sure that the software of your car’s computer is updated at all times. Buy an electronic key fob that can prevent your electronic key from transmitting signals when not in use. The upcoming Porsche 718 Boxster Spyder will feature a more powerful engine. The car will receive the 4.0-liter naturally-aspirated flat-six engine found in the latest 911 GT3. 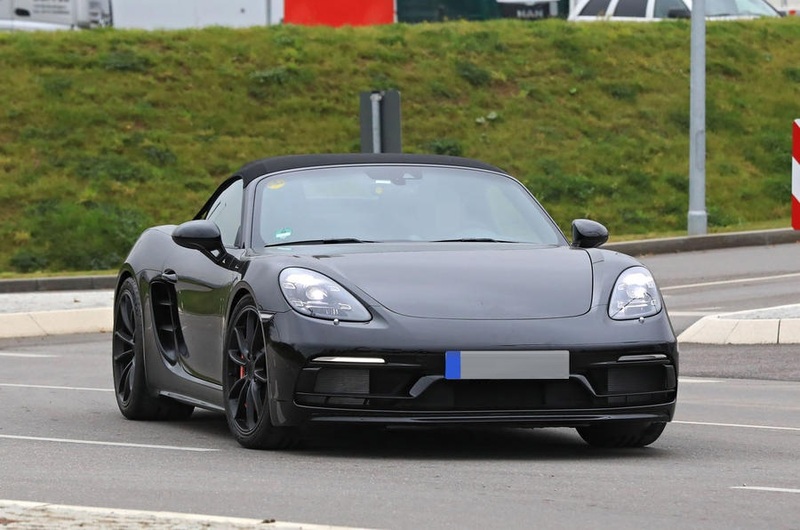 It should be noted that the current top of the line 718 Boxster carries a 2.5-liter turbo four-cylinder engine. The output of the unit is 350 hp and it has a top speed of 177 mph. The zero to 60 mph acceleration of the car is at 4.3 seconds. Replacing the engine with the 4.0-liter unit of the 911 GT3 will bump the output of the Boxster Spyder to 500 hp. However, analysts projected that the power unit of the Boxster Spyder might be detuned to produce a lower output than the more expensive 911 GT3. The previous version of the Spyder was equipped with a 3.8-liter flat six taken from the 911 Carrera of its time. The output of the unit was at 375 hp. The latest Boxster GTS with an inline-four engine produces 366 hp. Since the 718 Boxster Spyder sits on the top of the Boxster range, it will likely have an output of 430 hp. The car will have a six-speed manual gearbox as a standard fit. 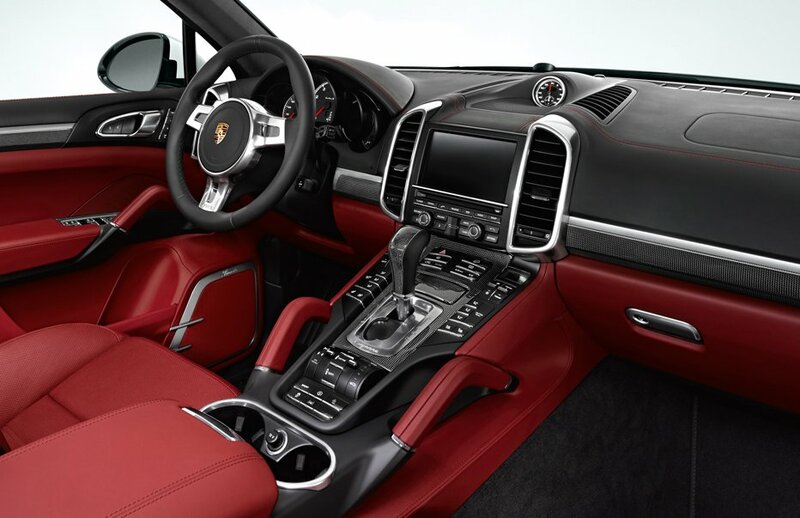 For customers looking to get most out of the auto, they can upgrade it to a seven-speed PDK dual-clutch transmission. The 718 Boxster Spyder is closely related to the Cayman GT4 of Porsche. Therefore, it is expected to get many styling elements and configuration available in the Cayman GT4, including a very prominent rear wing. According to the interview of Andreas Preuninger, head of GT car development at Porsche, having a natural aspiration engine is one of the unique selling points of their cars. 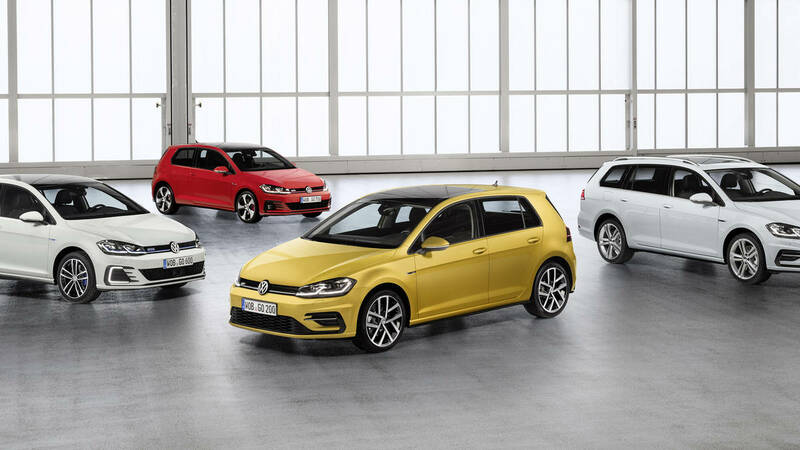 The Volkswagen Golf range just got a series of updates for its 2018 models. There were some noticeable visual changes in the car and popping up the hood of some of its models will reveal upgrades in the engine department. The Golf is one of the resilient models of the Volkswagen brand. The car has been around since 1974. The auto is currently in its seventh generation. The present generation of the VW Golf was introduced in 2012. However, its maker introduced gradual updates in its look and performance along the way to keep it fresh during its production cycle. The VW Golf hatchback is receiving a 1.8-liter turbo engine. It produces 170 hp mated to a five-speed manual gearbox or six-speed DSG. The car is available in S and SE trims. The S is equipped with “Lyon” alloy wheels. Going for the SE gets you a set of full LED lights, fog lioghts, panoramic tilting sunroof and 16-inch “Toronto” wheels. The wagon variants are available in S, SE and SEL trims. The SE and SEL each takes an 8-inch touchscreen. All the wagons get LED DRLs, automatic headlamps and a new shade of green in the finish. The GTI is offered with a 2.0-liter engine. It gets a 10 hp bump compared to its predecessor, which brings its output up to 220 hp. The power of the car is distributed via a six-speed manual or six-speed DSG. The vehicle is sold in three trims namely the S, SE and Autobahn. The upgrades in the Performance Package are available in the SE and Autobahn as a standard fit plus safety features like the VAQ Electronic Limited Slip Differential, auto emergency braking and forward collision warning. The Autobahn is also fitted with High beam Control, Lane departure Warning, updated maneuver braking and others. The range-topping Golf R packs a 2.0-liter engine with 292 hp paired with either a seven-speed DSG or six-speed manual. Included in the trim are 19-inch “Englishtown” aluminum alloy wheels, DCC Adaptive Cruise Control and 8-inch infotainment system with the brand’s Digital Cockpit. The Ford Mustang just got an update for its 2018 model around four years when its sixth generation unit was unveiled in 2013. For a starting price of $25,585, what does the car bring to the table? The Ford Mustang is defined by its muscular frame and wide body. Compared to the fifth generation model, the sixth generation series we have now is wider by 1.5 inches, lower by 1.4 inches and its grille has been revised to a trapezoidal shape. Looking at the exterior of the 2017 and 2018 models of the car, there were no significant changes in their aesthetics. However, those who wish for their Mustang to stand out more can get the higher trims matched with the optional Performance package of Ford. The new Mustang replaced its analog gauges with digital gauges and it got a 12-inch screen. The instrument panel allows the driver to choose from the different drive modes of the auto and other functions. The other interior elements of the 2018 model are the same with the ones found in the 2017 year model. The updated Ford Mustang kept its predecessor’s 5.0-liter V8 and 2.3-liter EcoBoost units. The 5.0-liter mill has been reconfigured to produce 460 hp and 420 lb-ft of torque. The rotational speed of the engine was improved to 7,500 rpm. The EcoBoost model is still at 310 hp but the torque has been increased to 350 lb-ft. The power of the car is distributed via a six-speed manual transmission. The car can be combined with Ford’s new 10-speed automatic too. The problem that we usually encountered when test driving an automatic transmission car with so much gears was that it sometimes switched to and fro at the higher gears like it was unsure where to stick. However, the 10-speed unit of the 2018 Mustang felt so smooth. It stuck to where it was supposed to be during the power increments. The new suspension of the car performed decently. Combined with the Magneride active suspension, the handling of the auto is improved. 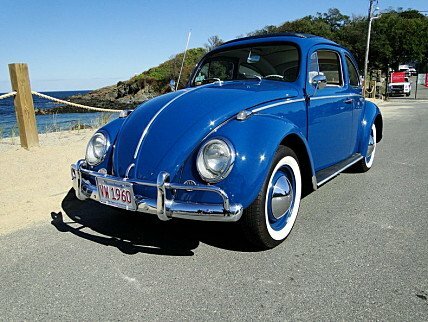 The Volkswagen Beetle is proposed to get an electric power. The next generation of the car will most likely run on the new MEB (Modular Electric Baukasten) platform of the automaker. According to Autocar, the electric Beetle is planned to serve as a sister model to the latest Microbus, which came out as the ID Buzz concept at the 2017 Detroit Motor Show. The Beetle is one of the number of cars that will be presented to the VW board when they will have a vote on the company’s initial range of electric vehicles. Herbert Diess, Chairman of the Board of Management of the Volkswagen Passenger Cars brand, said that the decision of the board will be based on what kind of “emotional concepts” they need. He explained that “emotional concepts” will include autos like the Microbus, Beetle, Kubelwagen and Buggy. He cleared out that there is no firm decision on the subject yet though. Further into the interview, the VW exec hinted that they are favoring the Beetle. He stated that if they are going for an electric Beetle, it would be better than its latest model. Instead of its modern design, it would get back to its roots and it will have a rear-wheel drive. Deiss pointed out that their MEB platform is planned to support up to 15 new electric-powered models. 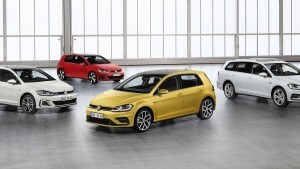 Five of them will be marketed under the VW name. The rear-wheel drive setup for an EV was previewed under the Volkswagen ID hatchback concept at the 2016 Paris Motor Show. The concept was equipped with one electric motor mounted on the rear axle. The output of the auto was 168 bhp. Although this is not yet conclusive, it definitely gives us something to look forward to. Getting back the retro Beetle design is a cool direction, especially for the die-hard fans of the classic VW. The 2018 Dodge Challenger SRT Demon has a starting price of $84,995. The deliveries of the 2018 Dodge Challenger SRT Demon to buyers started a few days ago. It was revealed that it comes packed with plenty of options and accessories to choose from. According to Motor Authority‘s interview with Dodge’s spokeswoman during launch, a few dozen units of the car already reached customers, but she said the ramp-up has been slow. She attributed the delay in shipping due to the availability of colors and customization required by buyers. The leather-bound manual was written by Hot Rod magazine editors. It discusses the key technical components of the car and instructions for setting up the Demon for the race track. The Demon Authentication Package costs $1. It comes with a “Certicard” and 12 sheets placed in a portfolio that detail the build process of the vehicle. If you want to make the most out of the Demon’s 840 hp, this $1 kit embedded with the buyer’s name plus the car’s VIN and serial number contains everything needed to squeeze that power out of it. Included are the powertrain control module, replacement switch module, performance air filter, block-off plate for passenger mirror and drag wheels. It also has tools like the hydraulic floor jack with bag, cordless impact wrench with charger, torque wrench, tire pressure gauge, fender cover and tool bag. The personalized car cover is stitched with the buyer’s name. It is made with satin. The kit from RaceLogic allows the driver to monitor driving data like the acceleration, brake use, rpm, speed, wheel slip, air temperature, altitude, G-force reading upon launch, gear selection, transbrake activation and launch control activation. It costs $3,680. The four-point harness bar from Speedlogic is worth $1,299.88. It attaches right in the rear if the rear seats have been removed. The accessory from Mopar only amounts $1. It lets the buyer detach the rear seats when drag racing. Included here are seatback closeout panel, seatback panel bezel, lower seat tray with cargo net, seat belt delete C-pillar covers and rear packaging shelf. This protects the sticky, race track tires of the car from wear when the auto is driven at long distances. The package is provided by Mopar. The price of the package will be announced later. The Mopar four forged aluminum wheels each measure 20 x 11 inches. These are similar to the stock wheels of the Hellcat Widebody. The rims are wrapped in Pirelli P Zero all-season 305/35ZR20 tires. Moreover, these include tire pressure sensors. The pricing of the wheels is not available yet. 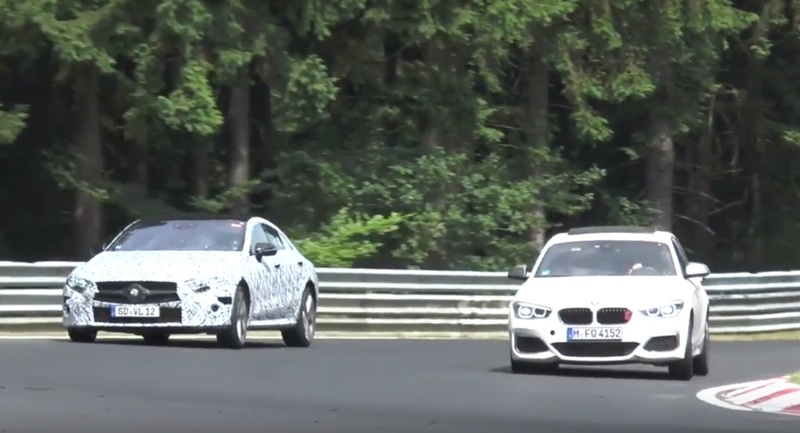 A new video revealed the all-new Mercedes-Benz CLS having its usual test drive in Nurburgring before its official unveiling. Apparently, it is not as quick and nimble as the BMW M140i. The BMW M140i packs 335 hp in its 3.0-liter turbo inline-six engine. That allows it to sprint from zero to 62 mph in just 4.6 seconds. Details about the specs of the upcoming Mercedes-Benz CLS are not officially available yet, but the basic model of its predecessor possesses a 4.7-liter biturbo V8 engine capable of delivering 402 hp. The new CLS should be along that line, so it was quite a scene when the BMW M140i was seen approaching the car at the 1:10 mark of the video. The CLS looked like it was just minding its business when suddenly the M140i swooped pass the Merc during a sharp bend on track. Look at the 1:13 mark of the video where the Bimmer showed how agile it was. It should be reminded though that the CLS is heavier than the M140i. Mercedes classifies it as a “four-door coupe”. It is defined by its elegant styling rather than its performance. After all, it sits along the middle of Merc’s E-Class and S-Class flagship car. However, having at least a V8 or an improved inline-six that is rumored to produce at least 500 hp, the expectations are heavy on this one. The current CLS can accelerate from zero to 60 mph in 4.9 seconds. The new Mercedes-Benz CLS is set to make its public unveiling at the Los Angeles Auto Show starting from December 1 to 10. Those who want to see the car in the flesh should go to the LA Convention Center during the said dates. The Porsche RS models will not be getting a manual transmission. A company executive revealed they decided to go on that direction because the demand for it might not be high enough to justify its production. “RS means Renn Sport, which means it has to be quick on the track, that it’s all about fast times on the track, and that means the PDK,” Andreas Preuinger, Porsche’s head of Motorsport Division, told CarAdvice during an interview. “The PDK has advantages on the track that can’t be beaten by a manual, and the ones who prefer the manual transmission are not typically the track rats as we call them, but they are those who like to enjoy their cars on the normal public roads. I would say a GT2 RS with a manual option would have a four or five percent share of the market, we couldn’t justify that,” he explained. Preuinger ensured that the manual stick-shift will remain as an offering in their GT models. He stated that they had success in their manual transmission cars. He estimated that putting it in the RS might yield a 30 percent share. However, they also projected that the demand might diminish and the figures might vary in different markets. The decision of Porsche to ditch the manual in favor of the dual-clutch PDK for their RS models may not sit well to purists but Preuinger definitely had a point, especially on the “demand” factor. After all, they are running a business and numbers really do matter. To the company’s credit though, they tried this formula before in their 911 GT3 RS to satisfy a segment of its market who were yearning for a manual shift stick. Unfortunately, it will not be the case this time. 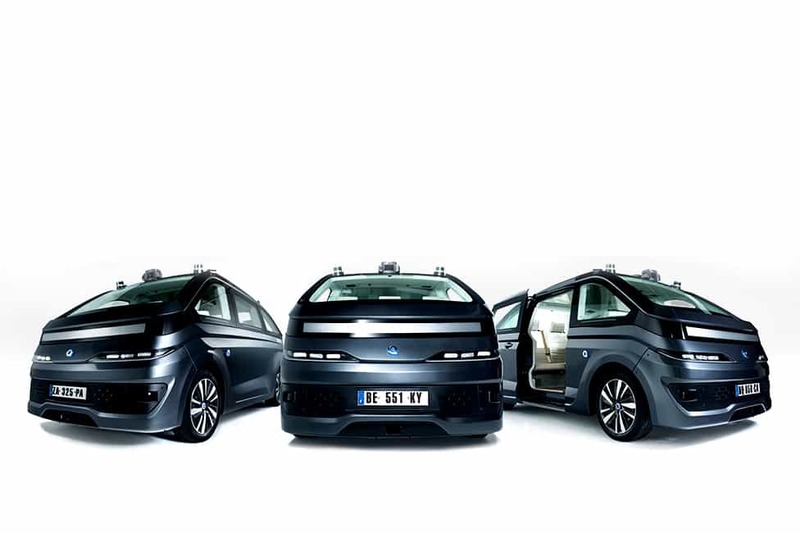 France-based tech firm Navya just revealed its self-driving car. What makes the vehicle unique is that it ditches the driver’s seat, steering and pedals. It features full autonomy on the road. Lately, we have been witnessing a gradual shift in the main targets of automakers. Many of them are now transitioning to the production of electric cars, thanks to the rapid advancement of technology and the cheaper means to acquire batteries with better capacity and longer electric range. The developments in computers and sensors have also paved the way for companies to enter into the race to produce self-driving cars. Navya has been taking advantage of the new landscape by not only producing their own EVs but they have even tapped into the self-driving car race. It should be noted though that the company is not a new player in the industry. In 2015, the French firm has already showcased its autonomous vehicle called the Autonom Shuttle. So far, it has successfully demonstrated its self-driving features in real-life traffic conditions and it sold 50 of its units in different countries. Basically, the product provides mobility solutions to commuters. From the lessons it learned along the way, they were able to make the Autonom Cab. As its name implies, it is a cab capable of autonomous driving. Unlike the Autonom Shuttle that can only run at an average joggers pace, the Autonom Cab can reach speeds up to 55 mph. It will be worth 250,000 euros and it is targeted to enter the market by 2018 after its successful public testing. The self-driving car aims to make its public testing at the Consumer Electronics Show (CES) in January 2018. The planned areas for its initial on-the-road demo will be in France and U.S. Unlike the traditional cars of today, the Navya self-driving car will not have a steering wheel of pedals. It is just a proof of how confident they are in their autonomous tech. However, for the meantime, the testings will be overseen by a Navya employee with a joystick that can take control of the vehicle when needed. 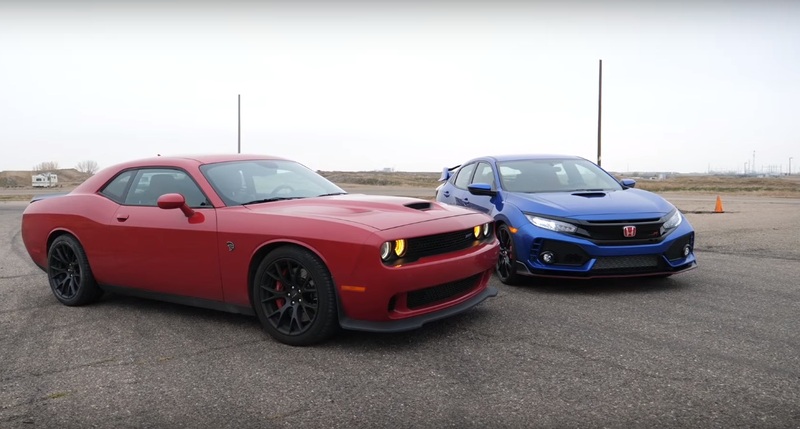 Which one wins if you put the Honda Civic Type R against the Dodge Challenger Hellcat? Well, this one is a no-brainer since the Hellcat is such a beast on the road. Recently, the two were pitted against each other on the track. A father and son duo were seen racing the two cars in a YouTube video by The Fast Lane Car channel. You will be surprised with the result. 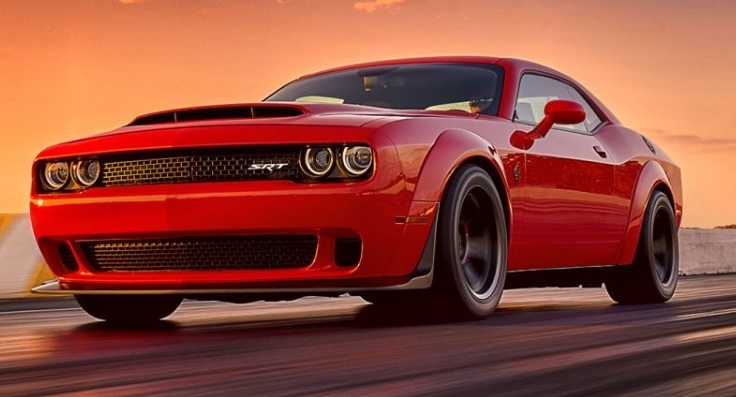 First off, the Hellcat possesses a supercharged 6.2-liter V8 engine. The unit screams 707 hp. On the other hand, the Honda Civic Type R has a turbocharged 2.0-liter inline-four engine. That delivers a measly 306 hp. Comparing the outputs of the two, the Civic Type R’s power is not even half of what the Hellcat is capable of. So when it came to the drag race, the Dodge muscle car darted like an angry animal chasing its prey while the Honda was left to eat dust. That was truly predictable looking at the numbers alone. It does not end there though. The son challenged the dad to where he thought the Civic Type R will be at an advantage—in a hot lap. The Honda sports car may come short in power compared to the competition, but its lighter weight, shorter wheelbase and better suspension give it a good shot against the Dodge supercar. The fast lap was a different story because while the Hellcat took the straight road easily, it struggled on bends. The Hellcat finished the lap in 1 minute and 12 seconds. When it was the Civic Type R’s turn, it appeared more agile at corners as it smoothly cruised its way on track. The total time of the car was 1 minute and 8 seconds. That was 4 seconds faster than the Hellcat’s lap time.